Among the surprise announcements during today's Nintendo Indie Highlights presentation was Goat Simulator: The GOATY. It's available to play on Switch as we speak. That's right, everyone's favourite game about possessing the body of a goat, exploring an open, suburban world, bashing into everything in sight, and occasionally giving things a good lick is now on Switch. As the small clip from the presentation states, it's bringing "next-gen goat simulation" to a console near you. The trailer shows you the exact kind of madness you can expect to find in the game, and the Switch version includes all DLC released for the title on other platforms. You can pick the bundle up right now from the Switch eShop for £26.99 / $29.99. Are you snapping this one up immediately? 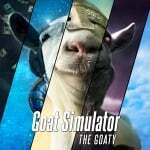 Is Goat Simulator perhaps not your thing? Tell us below. Is it just me, or is that incredibly expensive? I don't understand why they're selling it as a bundle. The price is way too high, this way. This is competing with itself at that price, considering it is usually available cheaper through Steam sales or part of humble bundles. Obligatory "I'll get it if it gets a physical release" remark. $30?! All the nopes. I'd be irritated but understanding at $15. But this is just a no go. I got the base game a year and a half ago for free under Games with Gold. I was ready to play this today, too. I just lost a million brain cells watching that trailer. Big no. Sorry, devs. So we're all in agreement on the price then I see. Thought about getting this for my kid but my price for this joke of a game is closer to "retweet this tweet and we'll send you a code". Maybe I'd cough up $1 on humble bundle since that would go to charity. It’s the GOATY edition. Game of (At a premium) the year. How much does this cost on Steam? Including all the dlcs? $30? I got this for like 10 bucks on Xbox years ago, Hard pass. @techdude £7.19 standalone, £21.55 bundled. Aw man, that price is a shame. It's actually quite a fun little game to mess about with for a while... quite amusing. I was thinking that my 8 year old will enjoy this. But at that price, I just don’t think I’ll enjoy buying it for him. gonna stick with the PC version. At the very least they should have made this into 3 packs for $10 each... or maybe even a free demo and then some DLC. I prefer to "pay once for the whole game", but this is the type of game that just doesn't work for $30 these days. Oh well... I wasn't interested anyway. For a game that goat (sorry) its start as a physics engine testing ground, it's ludicrously expensive. Gonna put it on my wishlist and wait for the first sale. isn't this free on the Google Play Store or IOS?, i downloaded it ages ago and it was a pile of rubbish. Why has this come to the Switch??? I feel like I got over the novelty of this title long ago, so this is an indie title I'll be skipping out on. @BenAV You pretty much just summed up the entire eShop in that one comment. @earthinheritor I can't agree with you there. I think there are lots and lots of really good eShop games that are very reasonably priced for the quality of the games and the time and effort that went into them. And then there's this. I expect the following strategy: price the game unacceptably high and exploit the two people who have been dying to play this meme game on the Switch. Afterwards, cut it down via eshop sales to the real price and make the consumer think they got a bargain for waiting. Semi-expect this to be one of those 'permanently on sale' sorts of games. I really enjoyed these games on mobile, despite the lag. Does anyone know if the lag is present on consoles, or is that just a mobile thing? @BenAV A lot of them though are usually more expensive on Switch than PC, PS4 or Xbox. In fact, the vast majority are more expensive on Switch when on multiple systems or when they go on sale they are more. Don't get me wrong i love my Switch but its a guarantee that the games on multiple systems are more on the Switch. Wow, I didn't buy it when it was superdiscounted on Xbox One because it seems to be rather bad, but this price? Incredible. @earthinheritor As far as I've noticed, eShop games that launch simultaneously on multiple systems, including the Switch, are priced equally on all platforms. Most of the games that are more expensive on Switch are the ports that have been out on other systems for long enough to receive a price drop. Who thought that price was acceptable? A goat? Do you get the MICHAEL BAY achievement if you pay full price? Saw the article and got excited as I've been holding out playing this game for years. No way I'm paying this price. Man, when I saw this, I was super happy to play this on my Switch. And then I saw the price. You can get the GOATY edition on the App Store for less than $10. I got it right away, it's a brilliant concept after all. Back in highschool when this originally released I would have been super into this. But four years later I don't really have an interest, certainly interesting to see how one's taste can change over time. Also, that price certainly makes the choice to skip this even easier. I was expecting 9.99, 14.99 (U.S. dollars) tops. Fun game, if you're getting hammered with friends and want a good laugh. 30 bucks, no way. I already have this on another system, but portability? Why not? No paying 30 bucks for something we all got our fill of years ago. This ain't DKCTF. @StephenYap3 If they're going to charge extra for the DLC then why not just release the base game and the DLC separately, rather than forcing players to buy the whole lot? And even with the DLC factored in, it still seems really expensive to me for the type of game that it is. But if you feel that it's good value for money then fair enough. A game's value is subjective after all. Yea considering the likes of Stardew Valley, Hollow Knight, The Messenger are half that price, that's an astonishingly bad price point. I was thinking about buying this for 5€ but 25?!? Nah, if I'll ever buy this it'll be from a Steam sale or something. Hopefully that drops like a rock in price. I’ve seen this for a few quid, wow this will not sell. Those who complain did not intend to buy it in the first place. I'll just get this on my phone if they will make it this expensive on Switch. Yes but its game of the year lol, JK. Ye 27 pounds is a lot to pay for this shovelware. This is the complete edition with all DLC. Costs $25 on PS4, so this isn't a drastic difference. That said, I'll buy it on sale. Once you've played the game 15 minutes, you've seen it all. Not even worth $10 imo. WOW. This one goes up there with Binding of Isaac for "Games I would buy in a heartbeat if the prices were not WAY unreasonable. " @Donutman @rjejr - Younger kids like this game because it's an open world where they can go around doing silly stuff without getting killed or needing to pass levels etc. My daughter played this a lot when she was like 6-7. I have this on PS3 but never played it. Won't be double dipping. @Prizm What a coincidence, @rjejr also likes games where you can go around without getting killed or needing to pass skilled challenges! Its a fun game for just screwing around, but not a £27 title unless physical. Yeah it has all the DLC but this game is years old and most have moved on. Like other systems, this game will be discounted heavily often. Wait till then. @Prizm My son, now 14, has watched a lot of Youtube videos of this and it's always looked more like a fun sandbox to mess around in more than a game. But it's never looked like it was worth $30. I'd buy this but I already throw money at Onimusha: Warlords and Tales of Vesperia so yeah sorry GOAT, you got release at the wrong time. Yup. Buying this for the 5th time now. No regrets. I'm not even mad. @NEStalgia Stop spamming my inbox, you might be keeping my oft long delayed Dreams beta out!! jk mM just tweeted 30 minutes ago they sent out US codes. Still havent' got one, just venting. And if none of that makes any sense to you, well consider your self lucky. But it's me, so you're probably used to that. Only the other day my son asked me if I remembered the game where you are a goat and you headbutt people. Said he'd love to be able to play it on the Switch. So it was a no brainer purchase for me. Also, can you guys tell me where I can get all 5 games for a fiver? They are 5 quid each on the Google Play Store. @rjejr Should I think of it as a bad thing that it all makes perfect sense to me? @NEStalgia Oh, and nobody likes QTEs. No. Bod. Y.
Dumb game gets dumb price; news at 11. @Nintendoyle "They are 5 quid each on the Google Play Store." So, bundling 5 $5 games is $25, so the $5 extra Switch tax is a good thing? If you want to justify the high price Steam is a better way to go, GOATY is a $31 bundle on there, though w/ a $10 soundtrack rather than the MMO DLC, but close enough. OTOH, you can buy the game on Steam for $9.99 or IOS/Android for $5, only option on eShop is a $30 bundle. Didn't like it with Minecraft, not liking any better w/ this. Had the game been sold solo for $10, 4 DLC at $5 each would make $30 total, still no bundled discount, but at least people would have a choice to check it out first for $10 before the $30 bundled investment. @rjejr Fair point about not being able to purchase separately and I agree 100% with you on that. My point was aimed more at those who said it can be bought for less than 5 quid. They are comparing a single game to the bundle. Lol I always wanted that game. Mine! Now! So many people here completely clueless about this game. "Just a meme game", "just a physics test"... It's a freeform sandbox game, packed with wacky fun stuff to do and find, and yes it has meme-worthy hilarious physics to play with. The devs constantly stuffed more and more content in, all for free for a while until they started charging because it was getting ridiculous. It is a full blooded game and worth being priced as one. And if you'd prefer to play it on mobile for 1dollar then go right ahead and enjoy the misery of virtual thumbsticks and onscreen buttons, i.e. the whole reason why the switch has been so successful. Indie-inflation strikes again! Much like Cave Story, which used to be freeware, this game is going for $30 freaking dollars. I can think of at least 620 5-year old indie games I'd rather have than this without even looking at the over-inflated price. All I need to do is look over at my dusty Steam library. Price seems fine to me. I don't know why everyone thinks games should be dirt cheap if they aren't mainstream AAA titles... Like or not, this is a very creative game with a lot of originality. To everyone complaining about the price: At least it's not as expensive as those Wii U ports. 😂 Now if you'll excuse me, I'm going to play some Mario Maker on my good old Wii U! Played this on IOS for 5 bucks. Got tired of it after one hour already. I guess it's a fun game for toddlers. Just in case anybody is on the fence about this game, I bought it .... utter tripe. I haven’t had this much fun since I had my appendix removed. 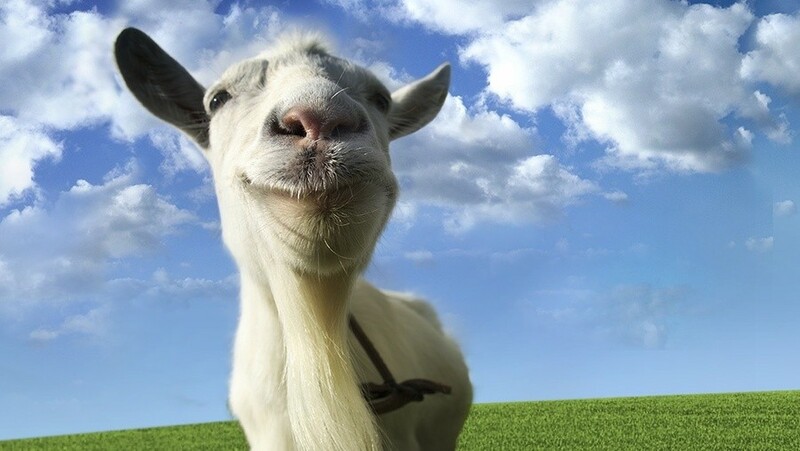 Goat Simulator, I want to like you, I really do. But you can't make a game that's intentionally bad and then release it at a $30 price tag. It's a funny novelty parody game, I mean get over yourselves. Crazy, crazy price. I got the GOATY edition on PS4 for around €6 last year. This game is on sale on PSN for super cheap all the time. This a no from me, dawg. @Nintendoyle "My point was aimed more at those who said it can be bought for less than 5 quid." Yeah I know, I was one of those people around post #12. I still think it's too expensive for what it is, but you correctly pointed out that this is the going rate for these games and this bundle, which is a comment this thread, and really the article, needed. List every one of the 620 games you thought of. We are all waiting, or was that comment full of $#[email protected] ? @the8thark ummmm, nearly every game I've got from Humble Bundle over the years. Are you going to list all 620 by name as you said you could? @the8thark No, instead I'll dismiss you outright for acting like you're 12 and spare the rest of the commenters an 8 page list of my Steam library. If you only can enjoy the Game for an Hour or 5 Minutes, than sure, the Game is overpriced, but that would count for every game, even games like Zelda or Mario. I found about this game when AVGN and some others played through parts of it and posted it on Youtube. It looked amusing, and I can say, after trying it myself, it's a relaxing and amusing experience. Not much makes sense, but that's apparently the point. This is more of a practical joke than a game. There are objectives, however, so at least something makes sense. The price of $30 is fine. There's a lot of content and it fills a much needed gap in my collection. No other game makes me laugh as much, no other game is as absurd, and I like a good joke.